Question: Does the Sturgeon Bay Police Department do fingerprinting? Answer: Yes, the Sturgeon Bay Police Department does do fingerprinting during normal business hours (8AM to 4:30PM) for a nominal fee. $20.00 for two or more cards. Cash or Checks payable to the Sturgeon Bay Police Department are accepted. Sorry we don’t accept Credit Cards. Question: If I am involved in an accident when do I need to contact Police? Injury or fatality of a person. Damage to one person’s property to an extent of $1,000 or more. Damage to government owned property to an extent of $200 or more, except government owned vehicles, which are $1,000. Question: What are the hours for the winter parking ban? Answer: The hours for the winter parking ban are as follows from 2AM to 6AM during the months of December through April. Question: How do I obtain a winter parking permit? Question: Where do I park my vehicle during the winter parking ban if I have already purchased a parking permit? Answer: Depending on the day whether its even or odd you park on that side of the street. Make sure to place your parking permit on your dash so it is visible. Question: If I receive a parking ticket where can I pay it? Question: How do I pick up a copy of a Police report? Answer: Copies of Police reports can be picked up at the Police Department lobby for a fee. Police Reports- $0.25 for each page. Color Photographs- $0.50 for each photograph. CD or DVD- $10.00 for each CD or DVD. Question: Where can I get information on landlord tenant information? Question: Where do I find a map of Sturgeon Bay? Question: How do I commend or file a complaint against a Police Officer? Office: (M-F, 9AM to 5PM) at the Police Department. 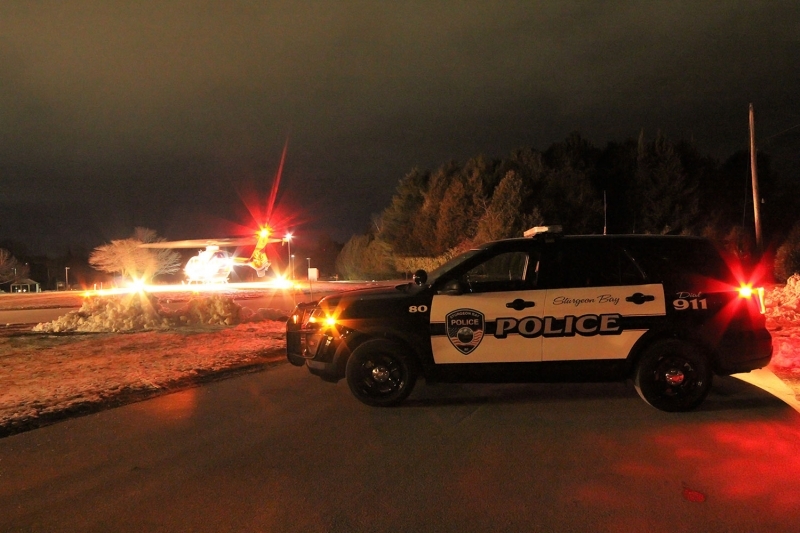 Question: What are the curfew hours in the City of Sturgeon Bay? Answer: Curfew is from 12 AM to 5 AM. Question: I am a victim of a crime what resources are available to me? You can also stop into the Door County Justice Center to pay for your traffic or municipal citation in person. You may call the Clerk of Court at 920-746-2205 . 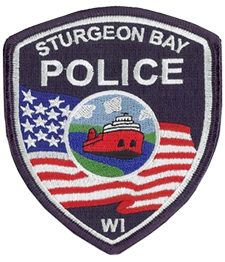 Question: How does one inquire about careers with the Sturgeon Bay Police Department? Answer: Those interested in careers with the Sturgeon Bay Police Department should visit our recruitment page located on our website. Question: How do I find information on the City Ordinances? Question: How can I find out if an Offender is still incacerated in jail and or prison?